Phi reflects their design philosophy with ‘smart’ architecture, sustainable and environmentally responsible design, combined with the application of Phi Φ, the golden section, to create beautiful proportions in design. Phi is committed to cost efficient design and construction culminating in highly energy efficient solutions. Sara heads up Phi Architects in the North West. Established in 2011, the practice, which is based in Stockport, is built on Sara’s background of low energy design with the emphasis on achieving the Passivhaus standard for construction. Sara specialises in low energy residential architecture and education buildings with an emphasis on designing for Special Educational Needs. 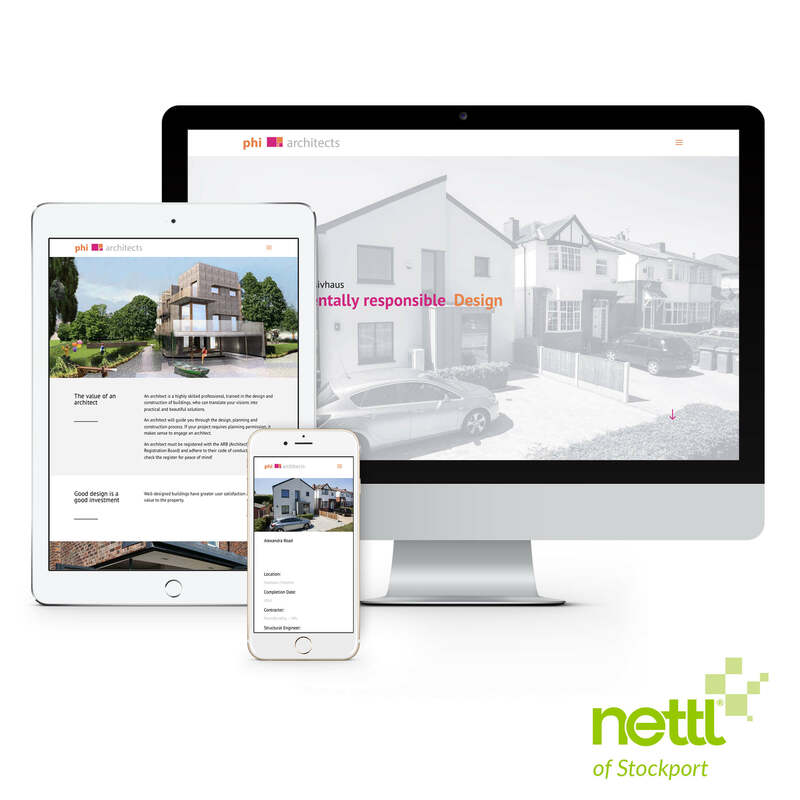 Phi Architects came to Nettl of Stockport with a website that needed to be brought up to date and reflect their inovative design. 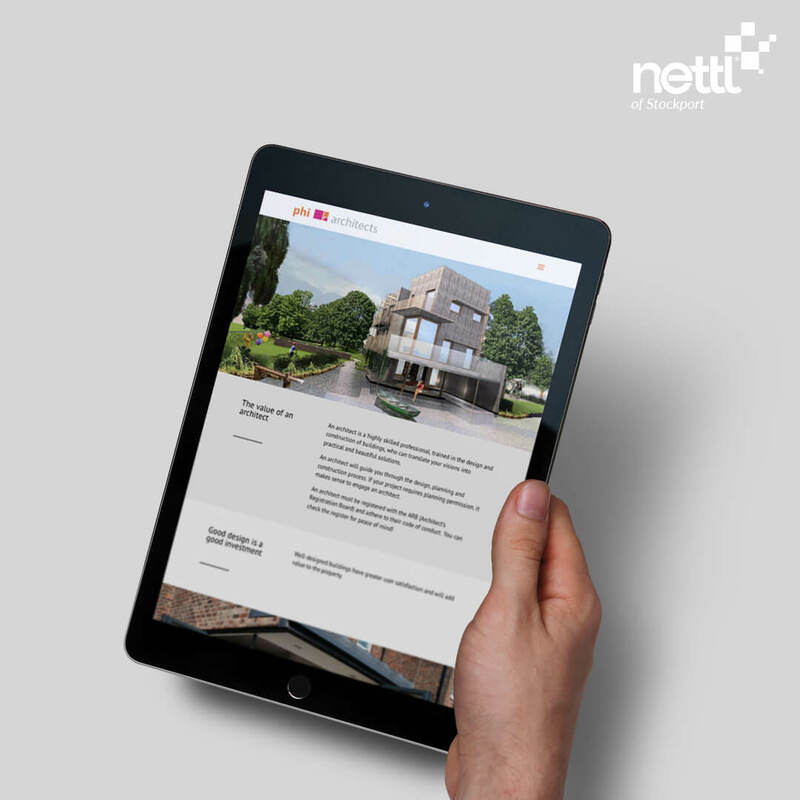 The website needed to be responsive across any device whilst clearly and beautifully displaying the various projects in there types of categories. 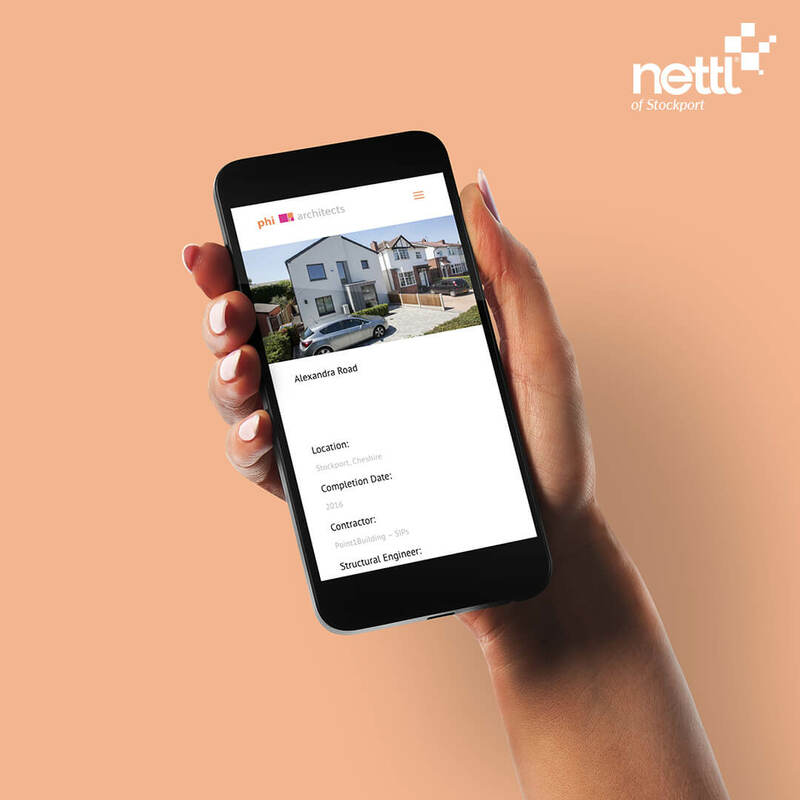 It was also important for the client to be able to easily add and update projects and news articles, as well as clients being able to contact her viathe website. 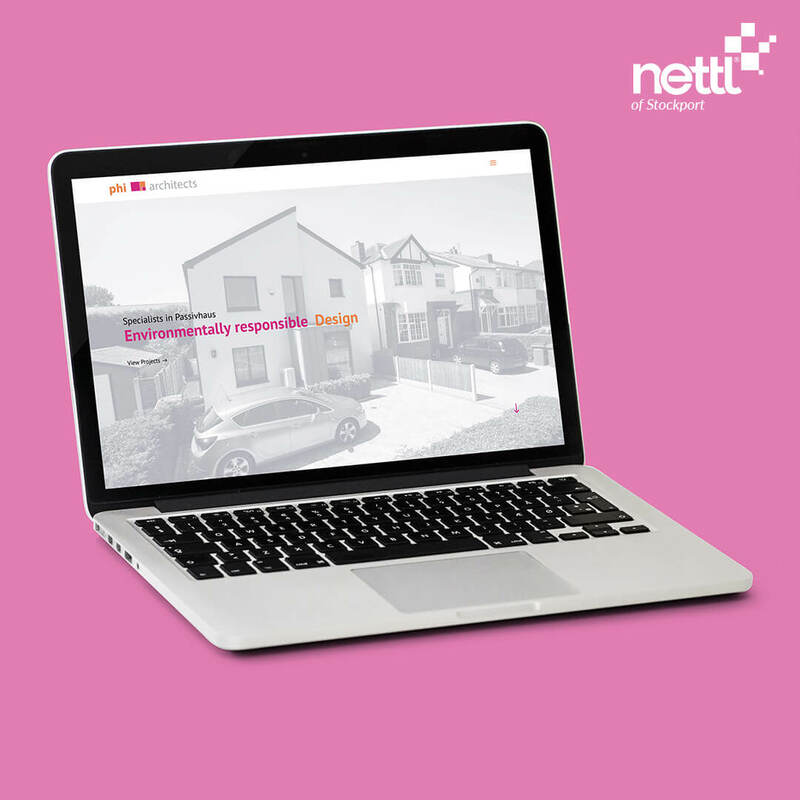 Nettl of Stockport designed a minimalist website which emphasised Phi Architects, Passivhaus projects. It is simple to navigate, and looks fantastic on all devices.